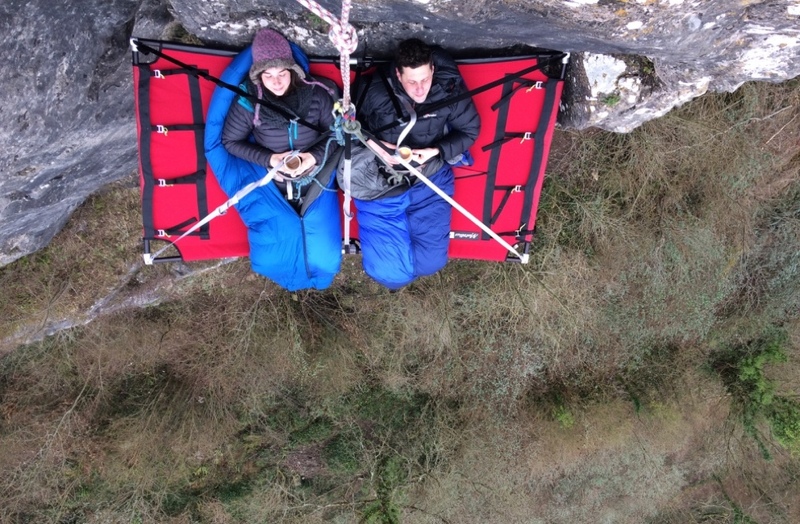 Spend an unforgettable night on the side of a cliff, suspended over the sea in Pembrokeshire, Torquay or North Devon, or over the beautiful Wye Valley. 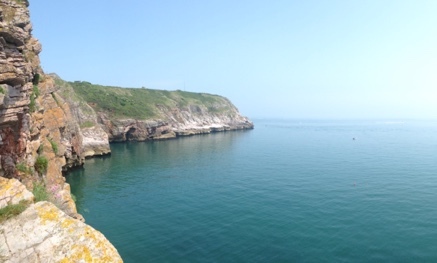 Our cliff camping experiences are the perfect way to unwind in truly spectacular surroundings. Rest assured, they're completely safe, and require no climbing expertise – only a sense of adventure! Cliff camping is completely unlike any other camping experience you've ever had. 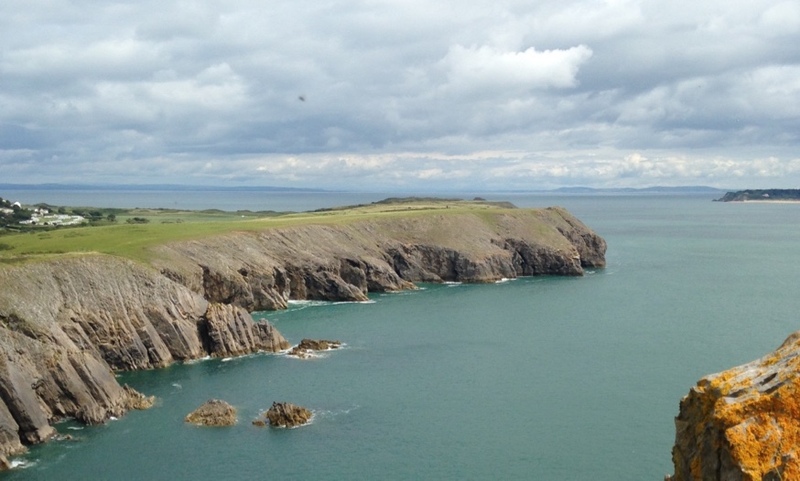 Instead of pitching a tent in the middle of a field, possibly amongst hordes of other campers and their SUVs, you'll be suspended from the side of a cliff overlooking the sea or a spectacular valley. You'll be sleeping on something called a 'portaledge', a hanging tent generally used by climbers when they're spending multiple days on a big wall climb. Q. Will I be safe? A. Yes! 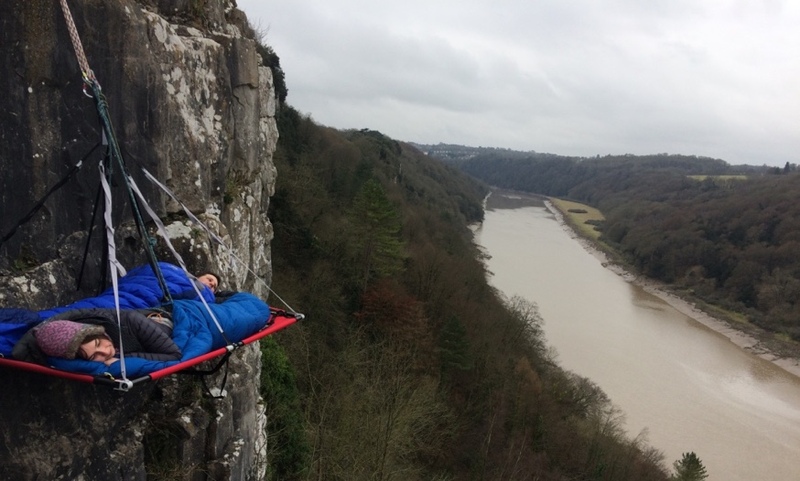 Cliff camping – when it’s done properly, as we do it – is completely safe. We use the best gear, and you will be attached to a security rope at all times. While it’s not perhaps for the fainthearted, we find that just about everyone can rise to the challenge. We do everything necessary to put your mind at ease, and give you an experience of a lifetime. Still not sure? Take a look at this short video of Kevin from Rise & Summit cliff camping with his two children. (Aged 7 and 5) in the Wye Valley here. 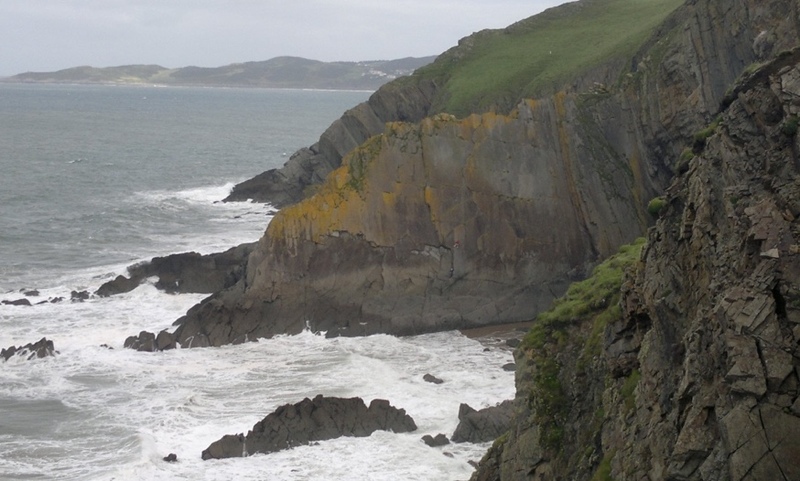 Q. I've never climbed before – can I still go cliff camping? A. Of course! You don’t need any previous climbing experience to go cliff camping. We’ll teach you all the basic skills you need before you descend to your camping spot. And we are always on hand, throughout the experience. A. We provide hot food in the evening, chosen from our menu. We then start the morning of day 2 with a tea or coffee and one of our breakfast options. Q. Will I actually get any sleep? Initially it may be a strange sensation. But once used to being on the portaledge, it’s just like sleeping on a camping bed. With much better views! Q. What happens if I need to go to the loo? A. You will get the opportunity for a toilet break just before we abseil onto the portaledge. We will have our own portable compost loo near to the top of the cliff. Minimising the impact we have on the environment. We will always be there to help and assist you. Q. Will it just be us? A. Your instructor(s) will be on a ledge next to you throughout the whole experience. In case you need any kind of assistance or reassurance. Q. How many people can be booked on this experience? A. We like to keep this very special. So we limit cliff camping experiences to a maximum of 2 people at a time. A. We have covers called flysheets that we use in case it rains. So you will be tucked away in a cosy hanging tent. A. It depends a bit on the location and the number of people. Please click on the location you are interested in. If you have any further questions, feel free to contact us on 07775 853 348, or email info@riseandsummit.co.uk.